It may not feel like it, but we are well over 7 months into the eligibility period for the 2018 Grammy Awards. Given that last year’s winners in the big 4 categories, Chance the Rapper and Adele of course, had released all of their eligible music by this time last year there’s a high chance we can already guess the big winners that’ll take to the stage in January next year. I’ll take a look at the Songs, Albums and New Artists I think could have a chance this year. There’s a clear front-runner already for the individual song awards, which will be obvious to anyone who have been within a few feet of a radio over the past few months. Shape of You will be nominated for at least one of these two awards, where Ed Sheeran is sure to be the early favourite too. 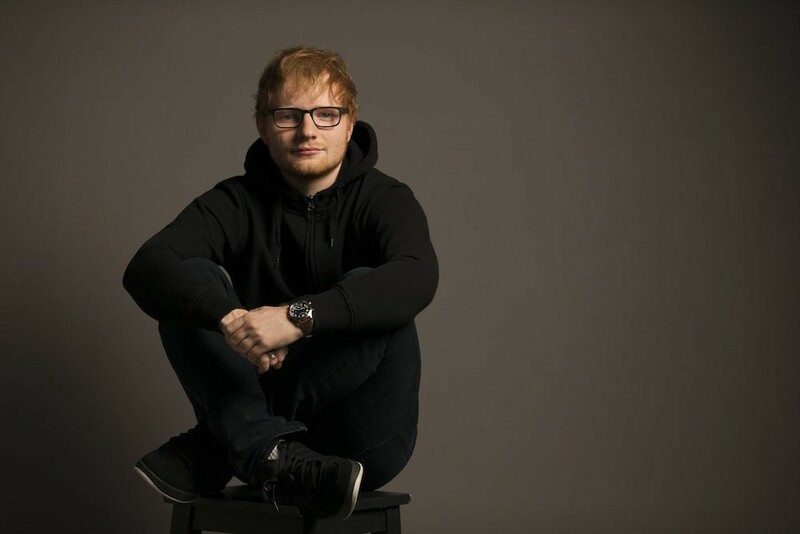 He’s a previous Song of the Year winner for the similarly inescapable Thinking Out Loud, but Shape of You managed to surpass it by giving Ed his very first #1 (Staying at the top spot for 12 weeks was simply a bonus). It’s the only one of the massive #1 hits that I can see making it into both Song and Record of the Year though, songs like Migos’ Bad and Boujee, Rae Sremmurd’s Black Beatles and The Weeknd’s Starboy could be choices for the latter of the two awards. Though it never reached the top spot of the Hot 100 I’d say Taylor Swift might help Zayn score his very first Grammy nomination with Fifty Shades collaboration I Don’t Wanna Live Forever in either of these categories. Kendrick Lamar’s Humble could do the same, though it hasn’t seen the same longevity as some of the rap hits mentioned above. The Coldplay and Chainsmokers hook up Something Just Like This could be an outsider too while That’s What I Like by Bruno Mars seems like it could pick up a few nominations. For a Song of the Year outlier I would look to Superbowl Halftime star Lady Gaga with Million Reasons. I would be very shocked if it doesn’t get a huge push for nominations across the Pop categories this year and would make a great choice for Song of the Year. I have a feeling though that the big story of these categories will be spoken in a different tongue to English. I could see Luis Fonsi and Daddy Yankee’s Despacito becoming the first ‘foreign language’ nominee of Song or Record of the Year since 1988 when Los Lobos were nominated for their version of La Bamba. I’d see the voters siding with the remoxed version that features Grammy favourite Justin Beiber too. I honestly wouldn’t be surprised if we see the first foreign language Song/Record of the Year winner since the very first Grammy awards in 1959. I usually write down a bunch of potential albums at this point in the predictions process, but today I came up with 6 albums. Starboy by The Weeknd and More Life by Drake could be potentials had they not both followed on from previous AOTY nominees. Kendrick Lamar’s DAMN is an obvious choice, but by leaving the Jazz influenced sounds of huge Grammy winner To Pimp a Butterfly behind could he have alienated the fans he gained 2 years ago? Miranda Lambert’s The Weight of These Wings is a personal pick of mine, following on from two prevous years of Country visibility in this category. In a year with not as many obvious choices we could see a critical hit like A Tribe Called Quest’s We Got It From Here…Thank You 4 Your Service make an appearance after their show stopping performance on this year’s show. The late Leonard Cohen’s You Want It Darker could fit the bill too, but with Blackstar’s absence last year I couldn’t see this making it. I’m not even convinced by the most obvious potential winner thus far Ed Sheeran, who delivered the weakest album of his career but has his best chance of winning AOTY yet. ÷ would seem like the easy winner to anyone here in the UK, but over in the US it’s only really Shape of You that has been HUGE. Drake and Kendrick both ‘outsold’ Ed in their opening weeks, and he didn’t have the entire top 20 on the singles chart like he did here. He will definitely be the bookies favourite for now, but I could see him missing out once again. Perhaps it’s down to the state of new music in 2017 but I couldn’t get many potential names for Best New Artist either. Three are rap stars and these three are featured on songs mentioned above. Lil Uzi Vert has managed to build on the success of his Bad and Boujee feature and could become a breakout star of 2017. Rae Summrund may have been having hits since 2014, but I could see them being on the ballot for Best New Artist too. Lauren Alaina and Brett Young could be decent choices for a Country genre nomination, while Rag ‘N’ Bone Man may not have fully broken the US market yet, but he is definitely a contender. Migos are the hot favourite here though. 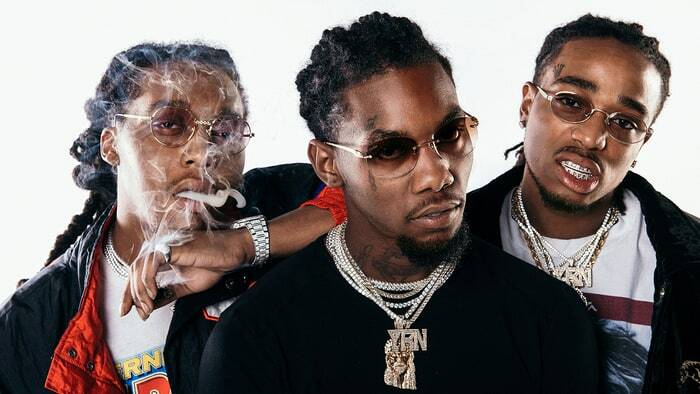 In the months since Bad and Boujee became one of the best songs of 2017 they’ve appeared on a bunch of hits from the likes of Katy Perry, Calvin Harris and member Quavo even scored his second #1 of the year on DJ Khalid’s I’m The One. For now anyway they are the ones to beat, though the most unpredictable category is often where the biggest surprises lie. Tags: Bad and Boujee, Black Beatles, DAMN, Despacito, Divide, Ed Sheeran, Grammy Awards, Grammy Awards 2018, Grammys, Migos, Million Reasons, More Life, Shape of You, Starboy. Bookmark the permalink. Her album hadn’t been released when this article was written, I expect she will make an appearance on the final predictions in October. I didn’t really expect them to win last year. Not with Adele against them in their categories. besring on Lukas Graham not getting even 1 Grammy out of the 3 they were nominated for? I felt they were terribly slighted!